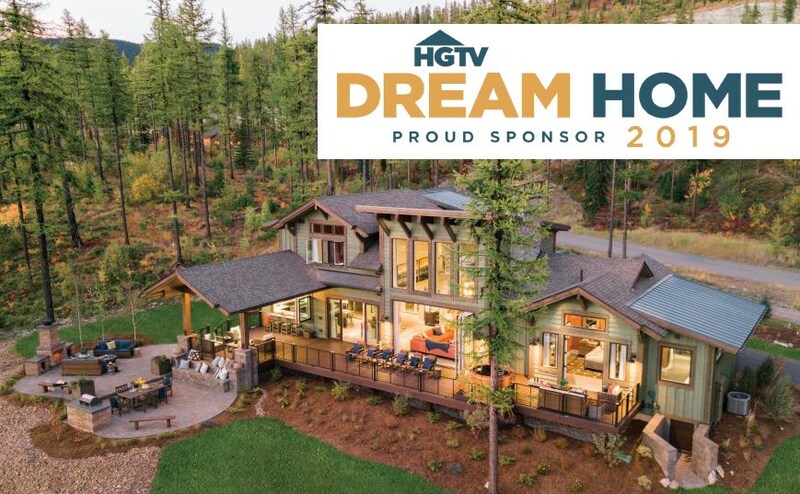 As one of the top premier builders in Montana’s Flathead Valley area, high profile projects like the HGTV® Dream Home 2019 are familiar territory for Bear Barinowski of Malmquist Construction. This incredible mountainside retreat in the resort town of Whitefish features seamless indoor/outdoor living that highlights the spectacular mountainside views of the valley and surrounding Rocky Mountain range. "The backyard, with its views, is one of the best parts of this house,” says Barinowski. “We wanted to highlight that aspect and have attractive surfaces and components that make you want to come outside and stay outside." 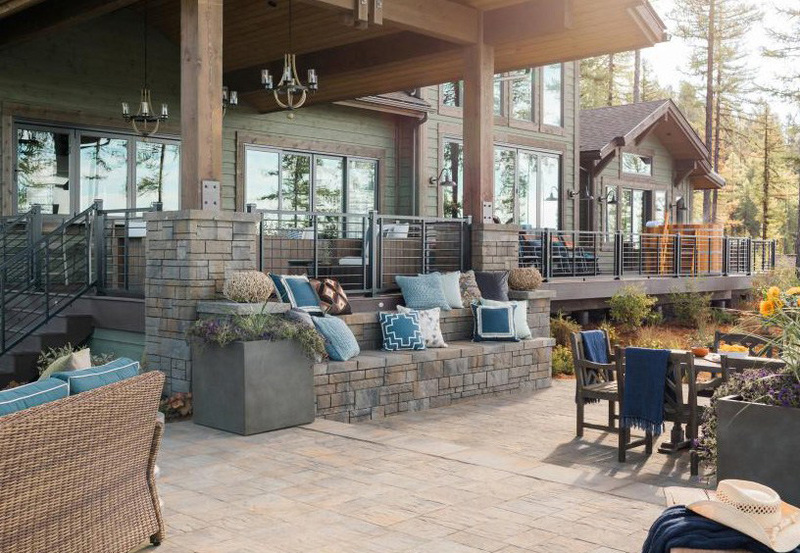 With an additional design goal of presenting the backyard outdoor living space as a year-round commodity, Barinowski began the outdoor living design process with a review board from Belgard, the exclusive hardscapes sponsor of the HGTV Dream Home 2019. The colors and textures selected were based on the natural surroundings, as well as the home design itself. "Items chosen had to complement the design of the house and enhance the whole project,” he says, noting that high priority was also placed on having the indoor and outdoor spaces communicate with each other. “The materials we chose have a way of carrying you into the house from the front and then inviting you outdoors to the back of the house. The products helped make the whole site seem cohesive." The mountainside site presented multiple design challenges, beginning with the angled elevation. “We had to create a level space without having peculiar transitions around the outside edges,” Barinowski says. The resulting terraced transition between the outdoor living room and dining area also allowed for a visual separation between the two outdoor rooms. 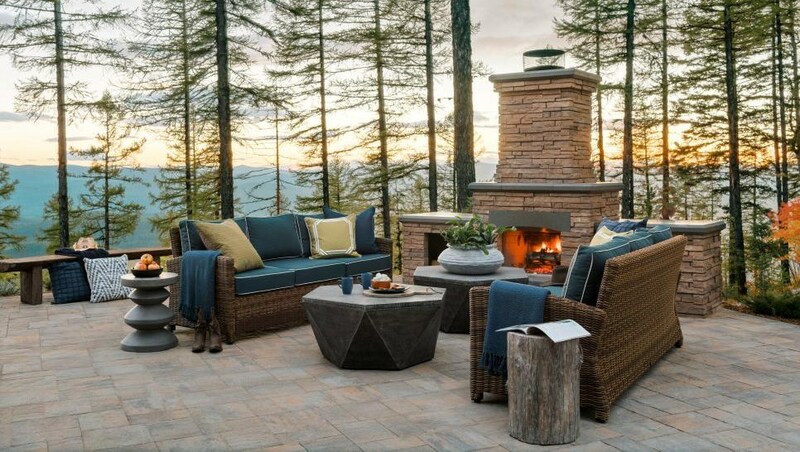 Limited access and tight deadlines presented additional challenges, particularly with a design that called for an outdoor fireplace and built-in grill island. The prefabricated components of Belgard’s Bordeaux Series™ line of fireplace and kitchen components provided attractive solutions for overcoming these challenges. 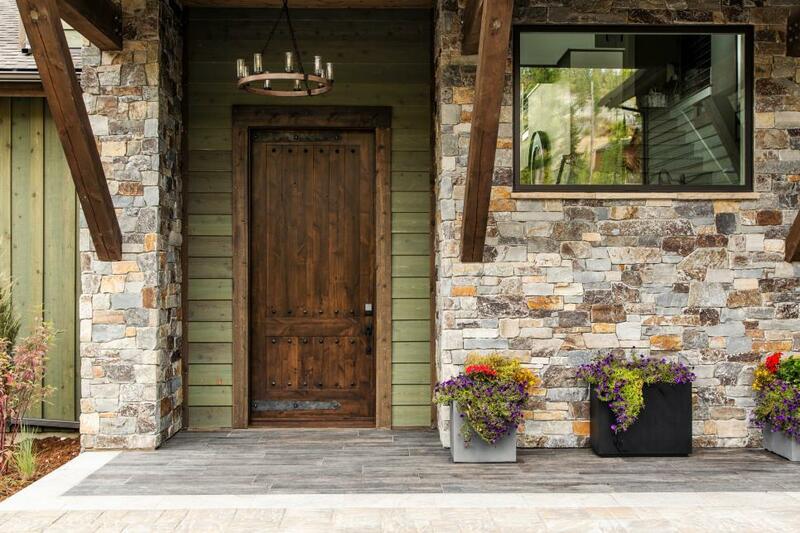 In addition to the welcoming back yard, the build and design teams wanted to create a dramatic entrance to the home, which was aided by a striking eclectic design of Belgard porcelain pavers. 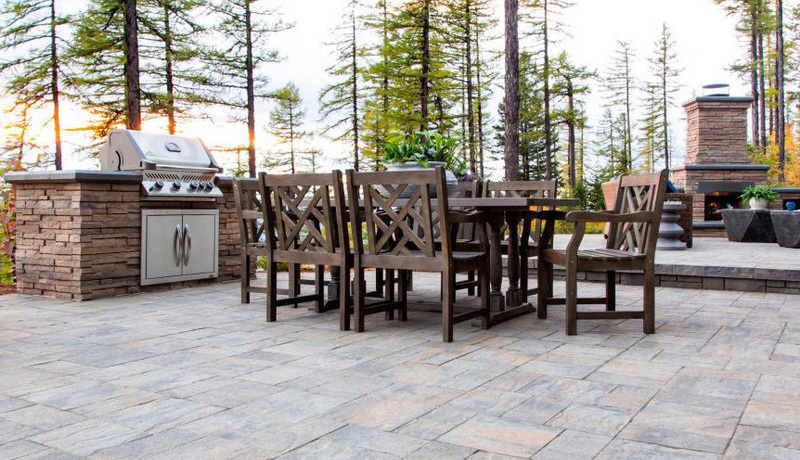 A versatile product line that offers multiple installation options, these pavers were installed by applying thin set to a concrete slab that was fortified by a compacted structural base. “The porcelain pavers offered the house a great first impression,” Barinowski says. The Belgard team also proved to be an asset to the project. “We were thankful to have technical support on any items and questions we had. And the products were all delivered on time and in great condition,” Barinowski attests. HGTV, HGTV Dream Home, HGTV Dream Home Giveaway and their associated logos are trademarks of Scripps Networks, LLC. ; Photos © 2018 Scripps Networks, LLC. ; Used with permission; all rights reserved.